Saturday was a washout so we were grateful of an almost summer-like day on Sunday. 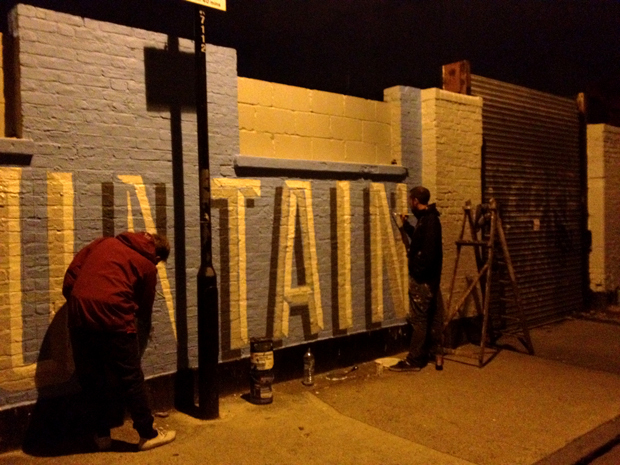 With a five strong team consisting of me, Owen, Jo, Tori and Sam Taylor we got to work painting the type. 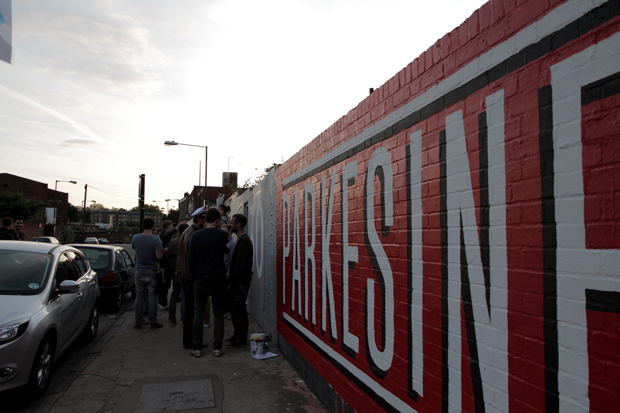 As words were completed we started to get a real sense of how the street would look and that the end was in sight. Determined that tomorrow would be the final day of painting we downed several strong coffees, chomped down another white building pizza (Moroccan lamb if you're asking!) let our eyes adjust to the twilight and ploughed on till gone 4am!